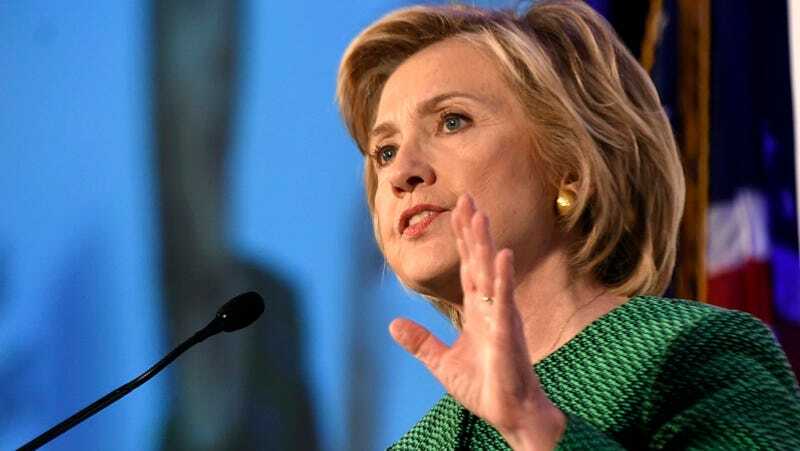 In a speech delivered last night in Alabama, Hillary Clinton called the state’s voting laws a “blast from the Jim Crow past.” She accused Alabama Republicans, including governor Robert Bentley, of purposefully undoing the progress made in the state during the civil rights movement. Clinton’s comments were in response to Bentley’s decision to close 31 driver’s license offices, particularly in deeply impoverished counties. Last year, the state enacted laws which require residents to present government-issued identification in order to vote. Earlier this month, Alabama made it even harder to obtain government identification when it announced that it would close driver’s licenses offices in 28 counties. Clinton urged Bentley to keep the offices open. “It’s hard to believe we are back having this same debate about whether every American gets a chance to vote,” she said.